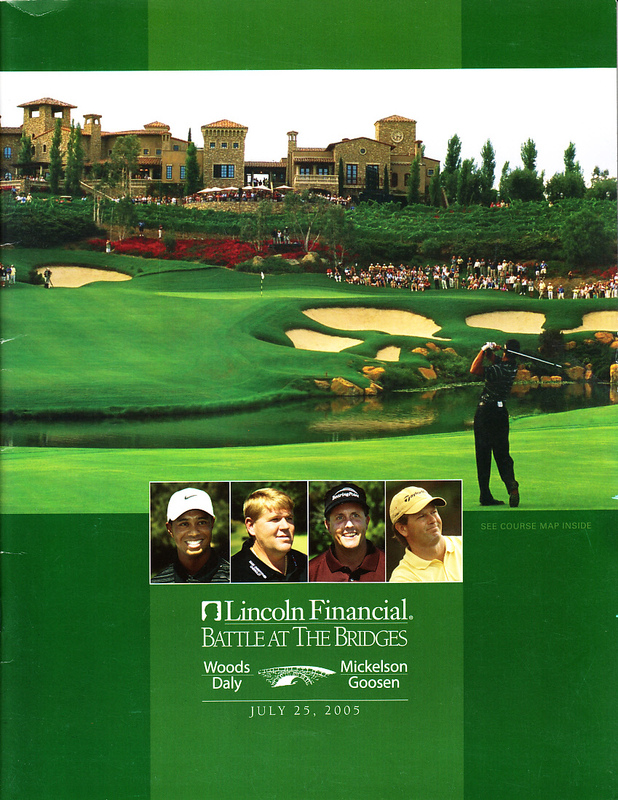 Magazine size program from the 2005 Battle at the Bridges golf event played in San Diego featuring Tiger Woods, Phil Mickelson, John Daly and Retief Goosen. 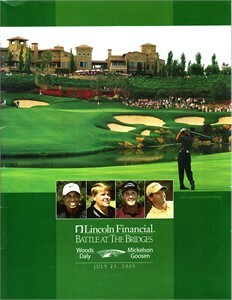 Fairly rare since this event was not open to the general public. Has minor flaws and wear. ONLY ONE AVAILABLE FOR SALE.